I talk so much about food from the heart and soul and we have truly found the perfect spot just outside Munich in Planegg @La Terrazza restaurant. 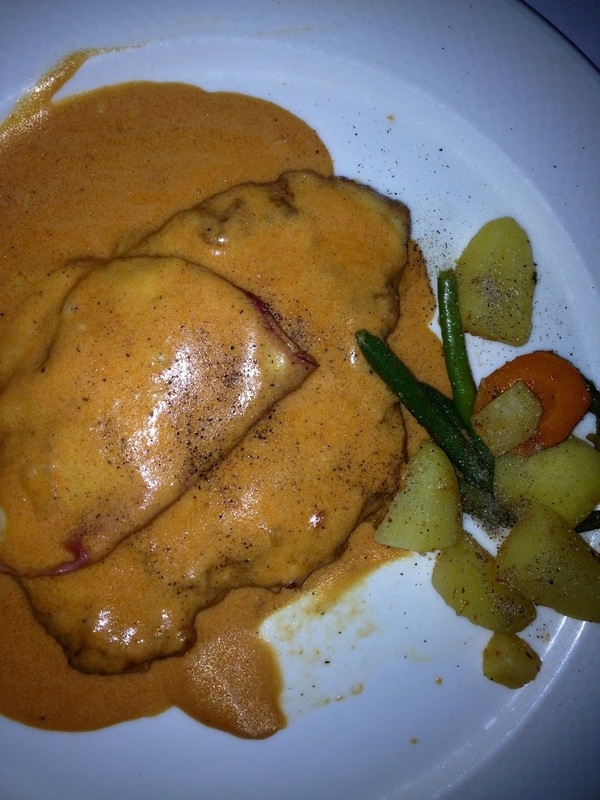 Please look for some true German fare in the next day or 2 but for today I wanted to show you another wonderful Italian dish….. If you know about Milanese cutlets or the Wiener Schnitzel you’ll probably find in the Bolognese version a richer and more luxury variation. style was perfectly breaded and cooked just right and topped with prosciutto di Parma and finished with a rich and creamy brown buttery sauce with notes of Parmesan cheese. Served with some little potatoes and some green beans and carrots. 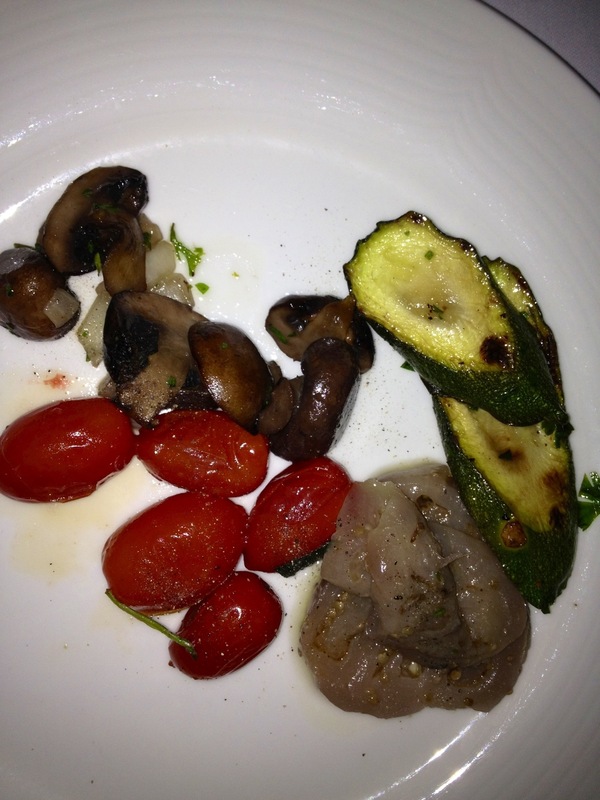 Also served was some perfectly grilled fresh vegetables…. 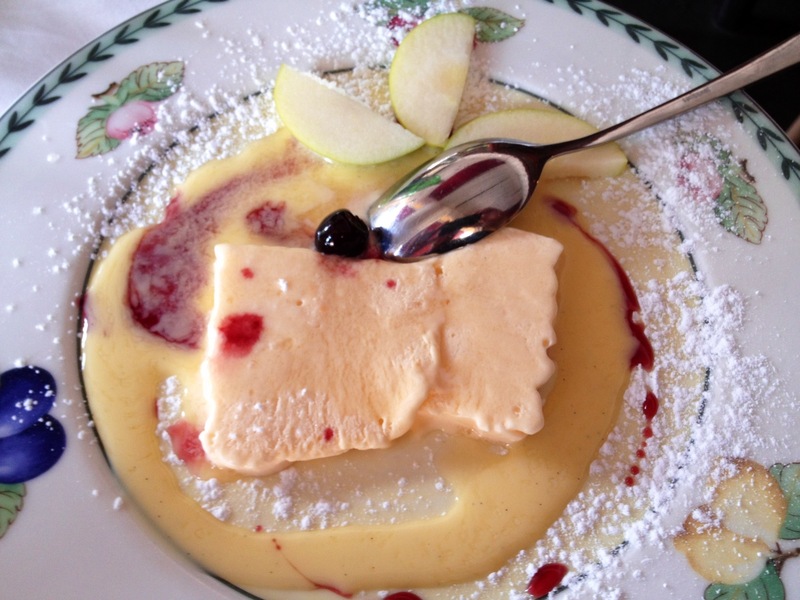 This simple but rich flavor in the Semifreddo is taste bud happiness…..
A Semifreddo is basically made a very similar way to making a mousse and then freezing it which leaves the desert light and fluffy, not hard or heavy. You can flavor it with almost anything you like, this one was whiskey and just the right amount to flavor but not overpower you with alcohol. Then it was topped with a light Crema, some fresh apple slices, one Amarena Cherry and drizzled with the Amarena juice.